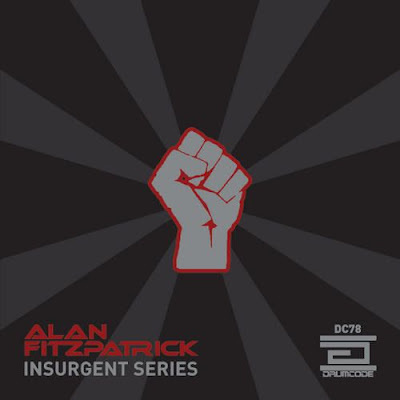 The first original Drumcode material from Alan FItzpatrick since his debut LP ‘Shadows in The Dark’, takes the form of the six-track ‘Insurgent Series’ EP. From the brutal, distorted tones of opener ‘Tinitus’ Fitzpatrick uses the extended EP to it’s fullest. The dub techno ‘Sub Dubbed’ marries harsh digital sounds with familiar dub aesthetics but sidesteps the Basic Channel model and delivers something which the producer has definitely made his own. From the aggressively disorientating stabs of ‘Redline’ through to the sparse rolling tech-funk of ‘Xenomorph’ and ‘En Salada’, Fitzpatrick’s distinctly fever-dream feel runs throughout ‘Insurgent Series’ and, paired with his superb approach to placing sounds in the mix, makes for compelling listening. Even when losing the beats entirely, as in closer ‘Lost and Found’, Fitzpatrick uses dark pads and spikey shaker hits to offset the flowing melodic leads. These little touches really reach out and challenge, stopping any one mood from comfortably settling.